Lavora con noi – it's easy! We are always on the lookout for a talented EFL teacher to work with us! We are a small, friendly, professional school in the centre of Como. 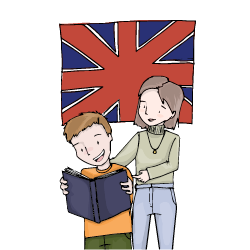 We offer quality language training to students of all ages and levels. We have an excellent local reputation and a high student return rate. The school is a recognised preparation centre for all Cambridge ESOL exams. We also prepare students for IELTS exams. The school premises is in the centre of Como: a charming city in northern Italy. The city itself is set on Lake Como, which is considered one of the most beautiful places in Europe. Stunning natural beauty apart, Como is just 40 minutes by train from Milan, which has two international airports and an efficient rail and motorway network. These provide an ideal starting point for exploring the rest of Italy or just about anywhere in Europe. The city is the capital of its own province so all local government offices etc are situated in the city centre. There is a good selection of shops and Como provides all the amenities you would expect from a modern city of this size. Your English must be of native speaker level. Educational qualifications required include a relevant university degree, a recognized TEFL Certificate, at least 2 years proven teaching experience at all levels, and experience in teaching young learners. In addition, you should possess good organizational and interpersonal skills. • the candidate must enjoy working with children and adults. We are always on the lookout for talents. At the moment we are looking for an EFL specialist to teach General English and Cambridge exam preparation to small groups of teens, adults and children. In order to join us, you will need to have experience in teaching both young learners and adults. Familiarity with Cambridge exams is an advantage. Specific details will be discussed with shortlisted candidates. * PLEASE APPLY ONLY IF YOU MEET THE CRITERIA INDICATED. Corsi di formazione e potenziamento dell’insegnamento dell’Inglese. Scopri quali corsi offriamo ai docenti.